The Manzanar Reunion Committee has announced that registration forms have been mailed out for the reunion to be held Sept. 14 to 16 at the California Hotel and Casino in Las Vegas. The forms should be submitted by Aug. 10. 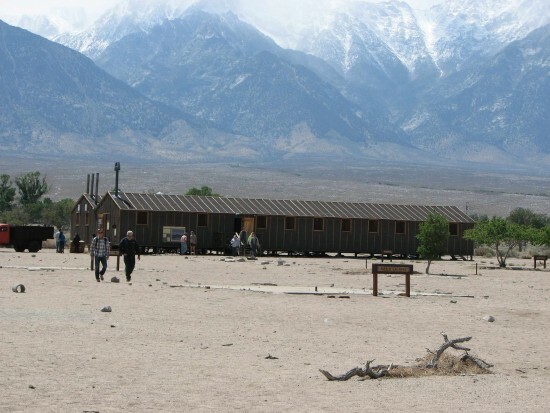 A “visual tour” of Manzanar today will be presented by Manzanar park rangers. It will be an opportunity for those who haven’t been to Manzanar lately to see how the rangers have preserved the site to continue the legacy. The reunion will also feature an after-dinner mixer on Monday with hors d’oeuvres. On Tuesday there will be a reunion-sponsored slot tournament and a few games of bingo. The committee emphasizes that anyone is invited to attend the reunion whether they were in Manzanar or any other camps, or anyone who is interested in getting first-hand information about the camp from park rangers. Questions can be directed to Cherry Uyeda at (805) 981-2629 or Grace Deguchi at (310) 968-1666.